It’s not every week I know what I will be sharing with you my readers. Sometimes my thoughts are so jumbled up that I don’t know where to start and to say the truth, sometimes I don’t get a clear direction until a few hours before I submit my article to Guardian. Today’s article is one such article. I wasn’t sure what I’d write about until early on Saturday morning when I was jogging, then just before hitting my 6Km mark it was so clear what I’d write about. So I hope today’s article will be an eye-opener to someone. For me to convey my message however, I’d have to go back to something that happened on Friday afternoon. I’d just gotten back to the office and found one of my colleagues fiddling with her phone. Not so long thereafter, she frustratedly asked this question, “What happens when you reset a phone to factory defaults? Does it lose all the information or what really happens?” The truth is, I hadn’t really thought about it but after she asked, I took to my all-time information store (Google) and got different responses. In short, yes it does wipe out most of the information but you still need to do a few other things to ensure that none of your personal information is left if you need to give the phone to someone else. The bottom line though is that yes if the phone had a problem such as freezing or simply not functioning properly maybe because there are too many (unwanted) apps running on it, then sometimes a factory reset will sort out the problem. It takes the phone back to how it was when you bought it, meaning the phone’s internal memory is wiped out. However, anything that was on the SD card remains intact. Back to my colleague, in order for her to use her phone again, she had to reset her phone eventually and after she did, she was able to use it as she had wanted to before. She was now left with the task of re-customizing it again to suit her personal preferences. In the process I am sure she realized she had lots of apps that she was probably not using or in need of. Besides, I am certain she must have made a few “new” changes now that she had gone through the trouble of resetting it. Whatever the case, the phone was finally functioning again and she did not have to buy a new one. Bucks saved. Don’t you just wish life was that way too? Where all you had to do was hit the reset button and you’d have all the un-necessary stuff in your internal memory erased and set to back to how stuff used to be before you went through all the different experiences that you may have gone through since becoming an adult? Don’t you just wish you had a reset button that you could use to restore your life to when things were better, before they become tougher and highly complicated like they probably are now? Well, I do too. I wish it was possible to undo some things in life but hey, life doesn’t always work like that. Besides even the phone doesn’t really erase everything even though you may have reset it to factory defaults; some information is still stored on the phone and so you have to do a few things to ensure the memory is wiped clean. 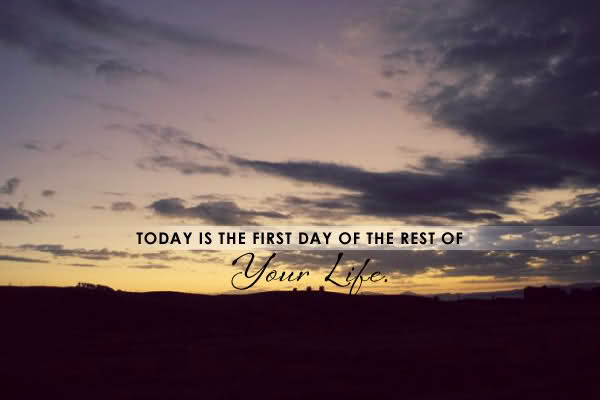 Even though we have no physical reset button in life, we have something we call another chance. I do not want to say a second chance because if you are like me, I believe I have long utilized the 2nd chance I had in life way back. Now all I live on is another chance. Another chance to do things right that I once did wrong. Another chance to take care of things that I once didn’t. Another chance to do things better than the last time. Another chance to ask or seek for forgiveness for something I may have done that hurt someone else. Another chance. Another chance. Another chance is all you and I have. It is funny that just before I wrote this article I was listening to a song I’ve never heard before by Kenny Rogers that had very powerful lyrics. To paraphrase the song, he was trying to tell the woman he once loved and broke up with that even though he may burn all the photos, get rid of everything she had ever given him and even attempt to forget her, there are things he cannot undo. He cannot undo the feeling of holding her in his arms, he cannot undo the kisses they ever shared, he cannot undo the memories they shared. He cannot undo the life they shared. They will still be there. In the end, he was asking for reconciliation and to him, the reset button would have been forgiveness and starting all over again. Unfortunately not many of us are ready to go down that road. The road that seeks forgiveness and reconciliation. The road that causes one to want to swallow their ego for the sake of salvaging something precious. The road that wants you to hit the reset button so that you can remove everything that is not right and ensure that things work again. Look at the world today; how many people are hurting, not because the fell and broke a leg or got shot, but because they carry with them the weight of emotional hurt? Wouldn’t the world be a better place if we as human beings learnt how to forgive each other and sort out our issues? Wouldn’t it be wonderful if we could just reset to a time when things were different and better? Unfortunately life happens and when it does, it causes people to hurt each other by saying or doing things that are irreversible in the spur of the moment. Most of the times this happens because hurting people hurt others too. Not knowingly most of the times though. I obviously do not know what you are going through right now or what area of your life needs a reset. Assuming it is in the area of relationship, I challenge you to look back and see what that relationship means to you. Why did you fall in love with that person in the first place? Are you ready and willing to let all the good stuff you meant to each other go because of something you can choose to reset (read forgive) and move on? Unless of course it was a temporary solution to a permanent situation, then I believe you will do whatever it takes to ensure restoration is done between the two of you. Find out why you drifted apart and address those issues. Permanently. Assuming it is in the area of your profession, do you feel like you took the wrong career path, or even maybe choice of employer? Do you feel like your ladder is leaning against the wrong wall? Well, you can still hit that reset button too. There’s never an end to learning and upgrading yourself. You can make a career change at any time of your life. You can create a new future for yourself if you so determine. The reset button is in your hands. In short, we have the power to change the things we do not like in our lives. You have the power in you to hit the reset button and start all over again, this time doing the right thing. And if you fail again, hit reset again until you get it right. Are you ready to hit the reset button? Are your ready to reset yourself to factory defaults? The answer lies within you. PS: Article originally published in Tanzania's Guardian on Sunday on the 13th September, 2015, under my weekly column "Thoughts in Words".